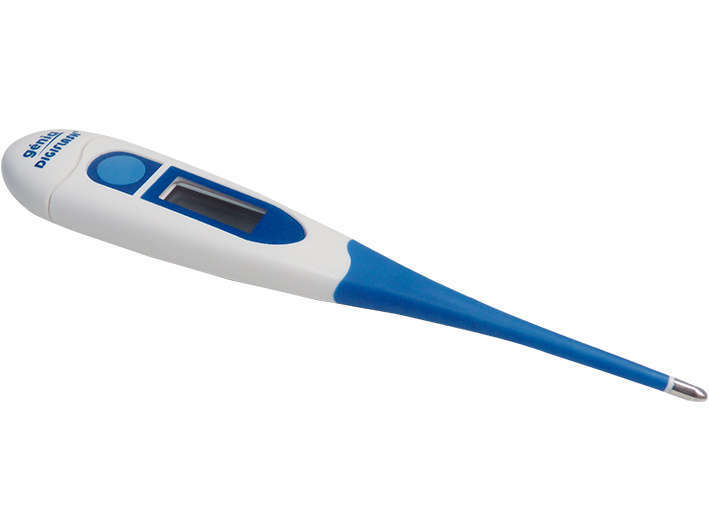 The Genia Digiflash Thermometer for rectal use, and is suitable for house pets, horses, cattle, sheep, pigs and other livestock. Supplies a reading within 10 seconds. This easy-to-use device is waterproof and has a flexible tip. Below are some recent questions we've received regarding Genia Digiflash Thermometer, including answers from our team. What size Batteries does it take.